This blog post is based on an article by Philipp Köker recently published in German Politics. Indirectly elected presidents and their elections are still an underresearched subject in political science. Nevertheless, there are numerous examples of fierce competition between political parties over filling the nation’s highest office (many of these documented on this very blog) that highlight the presidency’s importance. In fact, all parties have a vested interest in determining the next president: Indirectly elected presidents often hold important reserve powers and are thus able to tip the balance of power in one’s favour. At the same time, they are effectively agents of parliament and thus less likely to interfere in the work of their principals. However, indirect presidential elections are also publicly observed events that allow parties to send signals to voters and position themselves for the next legislative elections. Therefore, we need to ask: How do political parties strategically approach the indirect election of presidents? Specifically, what value do parties place on capturing the presidency compared to signalling their voters? The case of Germany offers a particularly interesting perspective on this question. The German president is elected by the Bundesversammlung (Federal Convention), an electoral college consisting of the members of the Bundestag and an equal number of electors nominated by Länder (state) parliaments. There are up to three rounds of (secret) voting in the Federal Convention – in the first two rounds, candidates need an absolute majority of electors to win; in the third and final round a relative majority suffices (to date all but three out of ten elections were held in a single round note that no candidate has ever been elected with less than a majority of votes). Electors are elected by state parliaments using proportional representation and must only satisfy criteria for active suffrage; thus, parties have free reign in who to nominate and their delegations can also include nominees who are not members of state legislatures (extra-parliamentarian electors – EPEs). As can be seen in the above figure, state delegations since 1949 have always included a substantive share of extra-parliamentarian electors (EPEs). Media reporting regularly focusses primarily on the various celebrities (athletes, singers, writers, actors, and socialites) among the EPEs, but parties also nominate representatives of affiliated organisations (e.g. the Social Democratic Party always nominated the president of the German Trade Union Federation). Thus, EPEs can act as celebrity advocates for political parties and provide an opportunity to strengthen ties with other organisations or reward local campaigners. However, EPEs are not subject to the same kind of political socialisation or institutional pressures as deputies of state legislatures; information on their political preferences is also often limited, so that their voting behaviour is considerably more difficult to predict. Therefore, the share of EPEs in party delegations presents an indicator of the relative importance that parties place on capturing the presidency (fewer EPEs) versus exploiting the process for publicity and reward (more EPEs), and allows for assessing the determinants of their strategic considerations. My main argument is that parties primarily want to see their chosen candidate elected president (or delay the election by preventing a victory in the first two rounds when their candidate has no realistic chance of winning). Exploiting the media attention of the election and strengthening ties with other groups presents a secondary goal. Both goals are in conflict with each other as the realisation of the primary goal requires high levels of voting unity, whereas the subsidiary goals can most effectively be achieved by nominating the – less predictable – EPEs as electors and risking deviations from party line. Based on these initial considerations, I formulate seven hypotheses on when parties should nominate more/fewer EPEs as part of their state delegation to the electoral college. In my analysis, I use a new data set on 791 party delegations between 1949 and 2017 and use the share of EPEs as the dependent variable. The results confirm most of my hypotheses, yet also challenge some conventional wisdom about presidential elections in Germany. Scholars and journalists previously assumed that parties will nominate more EPEs when the outcome of the election is clear beforehand and competition is low. However, it appears that competition in the electoral college only played a minor role (if any). Rather, party strategies were influenced by the varying signalling power of the elections, i.e. the way in which the presidential election helped to position them with regard to upcoming legislative elections. Parties were for instance more risk-averse and nominated fewer EPEs when they were part of the federal government, or when federal elections approached. Both scenarios increased the ‘seriousness’ of the election for political parties: Although research has shown no evidence for presidential coattails in Germany, governing parties should perceive themselves to be under greater pressure to display high levels of voting unity. The same applies to all parties if federal elections approach. In contrast, parties nominated more EPEs when they had a larger support base to reward (likely to include more representatives of other organisations, or because larger parties were rather able to accommodate EPEs alongside their political leaders). Interestingly, although electors are chosen at the state level, the control variables about parties’ membership in state governments and approaching state elections did not show statistically significant effects. While it appears that there is a need for a further differentiation of EPEs (e.g. some members of state governments do not or cannot hold legislative office at the same time), this overall supports my assertion that the nomination of electors is a federal strategy that is implemented at state level. Unfortunately, there is yet little systematic and comparative research on indirect presidential elections. However, Germany is not the only country to elect their president in an extended electoral college (other cases include India and Italy) and/or includes extra-parliamentarian electors in the process (Estonia and Nepal do so, too). Furthermore, the signalling power / publicity potential of indirect presidential elections is likely to exist in other countries, too. 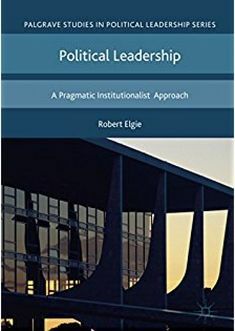 Future research should thus analyse the role of the different compositions of electoral colleges, and assess and to what extent parties in other countries are torn between electoral success and exploiting the elections’ publicity potential. Köker, Philipp. 2019. Risk vs Reward Strategies in Indirect Presidential Elections: Political Parties and the Selection of Presidential Electors in Germany, 1949-2017. German Politics, [Online First; DOI: 10.1080/09644008.2019.1590549]. This entry was posted in Europe, Germany and tagged electoral college, indirect prsidential elections, party strategies on March 18, 2019 by Philipp Köker.